The aluminium mast is well stayed with twin lowers and diamond jumper stays to stiffen the 4’6″ section above the forestay attachment. The 30-foot mast is normally deck-stepped in a tabernacle to ease raising and lowering. The 3’2″ spreaders should be angled 6 degrees above the horizontal. Originally booms were equipped for roller reefing. 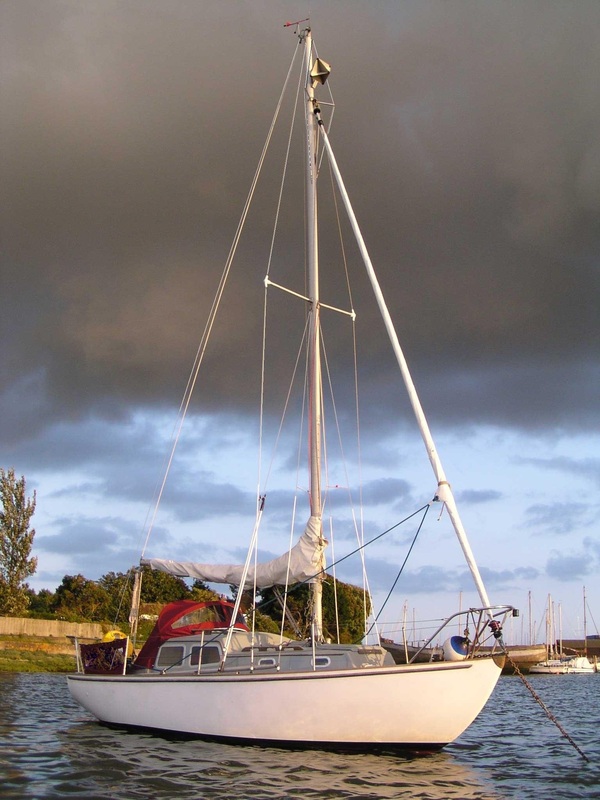 Many owners have converted to slab-reefing. Sail control lines can be led back to the cockpit if required. A few Tridents have been rigged as masthead sloops or cutters. 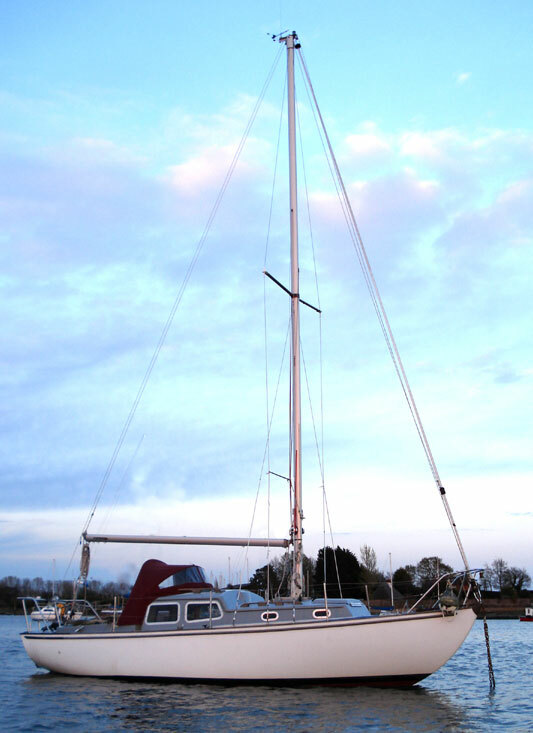 J is the base of the foretriangle measured along the deck from the forestay pin to the front of the mast. 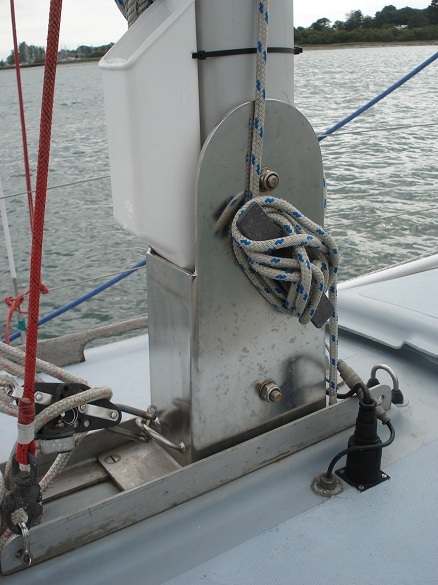 I is normally measured from the top of the forestay to the sheerline of the adjacent deck. Most Tridents have the mast mounted in a galvanised steel tabernacle. Steel bearers and additional reinforcement moulded into the GRP beneath the tabernacle spreads the mast loads between the saloon and forecabin bulkheads.